Get spellbound with the virgin beauty of glowing lakes, bubbling rivers, splendid mountains, mystic lamas and loving people. 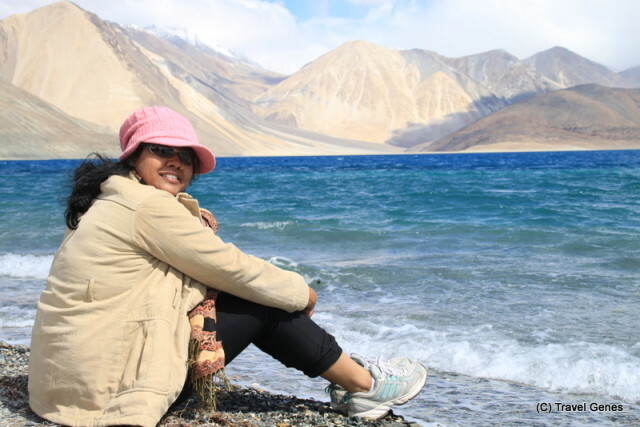 Ladakh is an adventure lovers dream come true and a retreat for the urban resident from the daily hustle and bustle of cosmopolitan life into the soothing lap of nature. Ladakh offers something for everybody, for the adventurous people who likes to live on the edge it offers the mind-blowing experience ranging from soft treks like the Markha valley trek to the hardest like the Chader trek undertaken on the frozen Zanskar river. For those who are not so adventurous there are the Jeep Safaris crisscrossing the whole region, letting you enjoy the adventure of knowing the unknown by guiding you through it. For the culturally inquisitive minds the vibrant colours of its socio-religious fabric, weave an enticing spell and for the spiritually inclined souls it offers a splendid opportunity to be one with oneself. For the nature lovers, the affordable mountains welcome them in a profusion of colours viz. green, yellow and purple and for the religious minded homo-sapiens this is the last Shangri La. Ladakh is a land so remote yet in your grasp. Where the only noise that you hear are the silent whispers of your own thoughts amidst the sand dunes of Nubra Valley or the barren landscape of Chumathang. 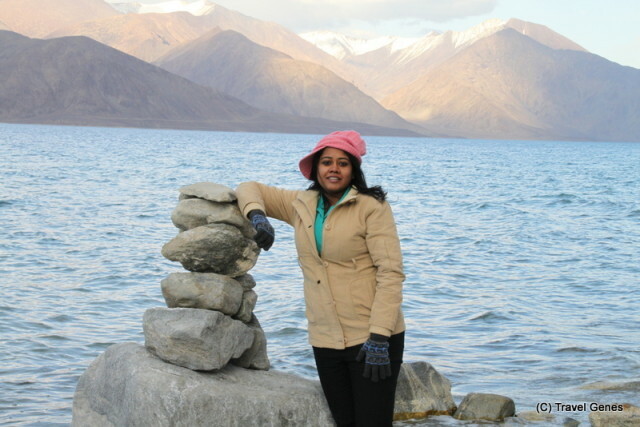 Sit tete a tete with yourself, your family or friends at the isolated Pangong Tso and enjoy the proximity to Nature. Sun protection: sunscreen (SPF 30 or higher),cold cream and Lip balm or Vaseline. First-aid kit including medicines you use normally. Anti Asthama spray and Tablets if you are asthmatic. Post-paid mobile connection from BSNL/MTNL. No other carrier works beyond Leh. Enough Money in cash as ATMs are only available in Leh and Kargil. Government issued Identity card such as driving licence / voter’s card / passport with multiple photocopies for getting various permits. Ladakh is a high altitude cold desert with a low-level of atmospheric oxygen. Make sure you allow yourself plenty of time to acclimatize after arriving in Leh because of altitude sickness. Avoid doing anything for the first day and drink plenty of water. Laptops also don’t appreciate the high altitude and hard drives are known to crash. Nights still get chilly during the summer so do bring warm clothes to layer. Leaving Leh by flight can be a lot more challenging than arriving. Demand for flights is high in peak season, so book well in advance. In addition, flights are sometimes canceled because of weather conditions, so it’s advisable not to book the last flight of the day. Hand luggage also poses a problem. Only laptops and cameras are permitted as hand luggage.Take permission before you click a photograph of any one. Don’t take photo if they ask for money. Come and discover your own reason to visit this place. Explore a whole new visage of mountains as you traverse the curves of unending roads. Heaven sure lies high above. This entry was tagged Hills, India, Ladakh, Travel Tips. Bookmark the permalink.